After completing B.S.S.(Hons.) and M.S.S. in Economics, Abu Zafore Md. Saleh started his banking career as a probationary officer in Agrani Bank in the mid 80s. He passed Banking Diploma Examination Part-I and Part-II in the year 1987 and 1989 respectively from the Institute of Bankers, Bangladesh (IBBA). He completed L.L.B in the year 1998. He also completed Post Graduate Diploma in Financial Management [DFM] course conducted by Bangladesh Management Development Center (BMDC). He has worked at Prime Bank Ltd., Dutch-Bangla Bank Ltd. and later at ONE Bank Ltd. as SEVP. Afterwards, he joined NCC Bank Ltd. and in the mid of 2015, he was entrusted the duty of Deputy Managing Director of the bank. Mr. Saleh worked at various responsible positions including Head of Corporate, Head of SME, Head of Retail Banking, Head of HR & Training Division. He also supervised International Division including Financial Institutions Department, NRB & Foreign Remittance Division, Marketing and Branches Division, Card Division, PR & Brand Management Department etc. 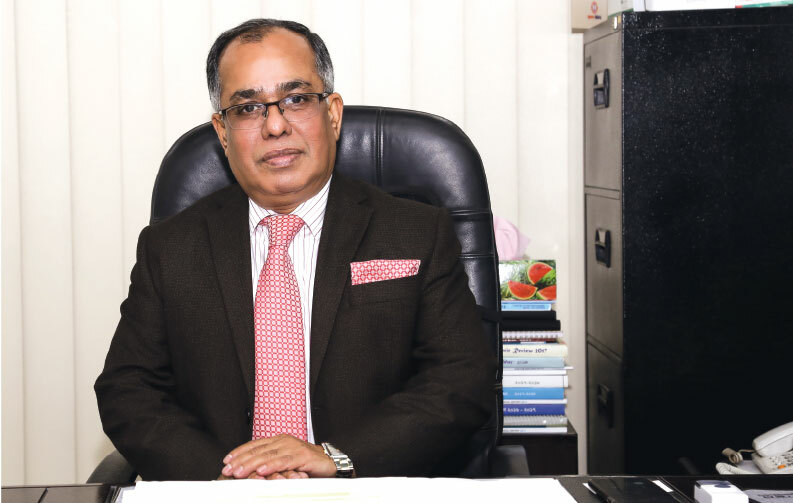 Mr. Saleh is the Vice President of Bangladesh Economic Association (BEA) and has received many awards for his outstanding performance as banker in Bangladesh. With a wealth of experience behind him, Abu Zafore Md. Saleh painted a vivid picture when he spoke about the changes he witnessed in the banking sector, the scourge of NPLs, Islamic banking in Bangladesh, SME financing and other topics with the Fintech team at the head office of IFIL in Dilkusha, Motijheel. Here is an excerpt of the conversation. You are in banking sector for over 3 decades now. What are some of the biggest changes that have happened during this time? The changes have been massive in this time period especially since the private commercial banks emerged in the 80s. After the independence of Bangladesh, the government-owned banks used to operate in a limited scale. When I started my career as a probationary officer at Agrani Bank, we used to work with the ledger system. We had to make each and every entry on the ledger and had to deal with a huge volume of ledgers when it was time to balance the accounts, and I can remember it took us the entire night to do so. It was tedious and backbreaking work. Now we work with a fully IT-based system where there is no scope of balancing like before. I am a witness to this massive change where we moved from ledgers to computers. Earlier, only a negligible part of the population was under the sphere of the banking sector. But now, that has changed to the point where the notion of ‘inclusion of the excluded’ popularized by the previous governor has resulted in street children and farmers holding bank accounts. The banking network is spreading all across the country as banks are obliged to open branches in rural locations with every branch they open in a city. The tremendous development the global economy has experienced in the last few decades was contributed by several factors among which the growing institutional supply of loanable funds played a pivotal role. The financial system of Bangladesh also experienced this change. From the 90s we have seen public banks get privatized and private banks have emerged as the new popular medium for transactions and payments. People have become accustomed with better service quality and expect more from the banking system. As we stepped into the 2000s, the IT-based banks came into the scene. Management Information System became the accepted norm for effective and efficient banking service. At present, services like Green Banking, E-Banking, Internet Banking, Mobile Banking and Application-based Banking have added new dimensions to the financial system. Not only that, the banking service has reached the doorsteps of clients through the financial inclusion concept and by implementing Agent Banking, School Banking, Banking for Farmers and others. A thorough and wide risk management system has been introduced to the banking and financial systems. Regulatory and legal compliance became prioritized which minimized systematic and unsystematic loss. Today, I can tell you that Bangladesh has a mature money market and the blend of efficient banks and financial institutions bodes well for the future. The banking sector faces a crisis from NPLs. How does this affect you? Well there are two parts to this problem. On the macro level, NPLs have reached nearly 93,000 crore Taka and if you add around 50,000 crore of loans that have been written-off, you arrive at a figure that is close to 150,000 crore Taka. This is a huge burden for an economy like Bangladesh. If you ask me about the major problem in the banking sector, I will definitely put non-performing loans on the top of the list. The international standard of NPL is 2 percent or below but in our country it is much higher. The NPL percentage in Bangladesh is 5 to 6 times higher than the international standard which is alarming for the banking sector. In fact, it was 10.8 percent in March 2018. Furthermore, NPLs weigh heavily on the supply of credit and thus have a negative impact on investment and growth via a number of channels, such as locking-in bank capital into non-viable projects and unproductive activities, reducing profitability of banks and distorting capital allocation. High level of NPLs also impairs the mechanism of monetary transmission to the real economy. I believe it is possible to reduce the NPL level within the existing framework if there is firm determination of all the parties concerned. In my opinion, several steps can be taken to bring down the NPLs in the banking sector. Firstly, a special tribunal can be formed for large default loans. A substantial down payment may be realized before accepting any writ petition by the honorable court. Clients with default loans must be socially boycotted. Social awareness must be created and the defaulter list should be published regularly in the national daily newspapers. Luxury purchases should be banned for the loan defaulters. Lastly, passports of loan defaulters should be seized so they cannot travel abroad. Another part of this problem is the lack of good governance. The term liquidity crisis is quite misleading because if you look at the public banks, they are doing fine but the private banks are short of funds. So I think it is more of a liquidity management issue, and if we can manage it properly then the problems can be solved. You see the lack of good governance still haunts the banking sector and it has exacerbated with the advent of new banks. Once the four new banks get approval from the Bangladesh Bank, the number of banks in the country will be 62.
Who are the employees of these banks? Are you training them for the banking sector? No. The banking and finance departments of Dhaka University came into being only recently. What about IT? Where will you find IT-based bankers? We can find either good bankers or first-class IT professionals. Without the combination of these two, we won’t be able to compete in international banking. To overcome this deficit of competent manpower, we must start courses for IT-based banking in universities and BIBM can offer diploma courses as well. Islamic Finance and Investment Limited (IFIL), a Shariah-based financial institution holds a good reputation and position among the NBFIs since its inception. It is enlisted at both the Dhaka Stock Exchange and Chittagong Stock Exchange with good credit rating, EPS and consistently provides substantial dividend to general shareholders. It has been possible because of IFIL’s compliant nature in legal and regulatory issues. Proper risk management is exercised in every aspect of IFIL’s operation. We have skilled, knowledgeable and experienced risk managers working with us. As a result, NPLs are at a tolerable limit in IFIL. At the close of business on 30th December 2018, our NPL was at 3.89 percent. We are looking forward to have International Standards in our risk management operations after the introduction of the Enterprise Risk Management (ERM) System. Tell us about your best/most profitable products. IFIL offers various deposit products which are in complete compliance with the regulatory and Shariah rules. Among them the newly introduced ‘Mudaraba Asaan Deposit Scheme’ is the most popular. In this scheme, a depositor can deposit any amount any time at his/her convenience for a competitive rate of profit. It is a flexible deposit scheme highly recommended for clients who have limited or irregular income. You will be happy to know that IFIL launched two investment products in January this year. One of them is ‘Raha’ which cushions the client with a guarantee and finances the Letter of Credit opened in another bank. The second investment product is called ‘Silaa Ul Istihlaq’ which finances the client to facilitate storage of seasonal commodities. This product ensures future availability in the market and as a result stabilizes the market price of that commodity. We are getting good response from these products and they are quite profitable at the same time. You also won the ‘International Finance Award 2018’ in the category of the ”Most Innovative Shariah Compliant Financial Institution-Bangladesh” by International Finance Magazine, UK. Talk a little bit about that. We consider it extremely prestigious to be recognized as the ‘Most Innovative Shariah Compliant Financial Institution-Bangladesh’ by International Finance Magazine, UK. 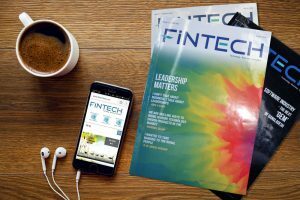 International Finance is a premium financial and business analysis magazine published by UK’s International Finance Publications Limited. With an astute focus on emerging markets, International Finance provides news, analysis and commentary from a host of industry experts, contributors and writers. The editorial team’s endeavor is to address economic and business developments and provide engaging, informative and factual content every day. We received the award on 17 January during a fabulous ceremony organized at a five-star hotel in Dubai. International Finance Award recognizes industry talent, leadership skills, industry net worth and capability on a global platform. After careful consideration of nominations by a qualified research team, winners are declared on the strength of their application and past accomplishments. This award is considered as the most glorious global award that recognizes the best in class among the banks and financial institutions. Previously, Standard Chartered Bank, HSBC and Citi NA from our country were winners at the International Finance Award. Numerous banks and NBFIs from different countries had participated in the nomination process for the category of ‘Most Innovative Shariah Compliant Financial Institution’ in 2018. We won the award in this category as no other banks or NBFIs could showcase their innovation in Shariah-based products like IFIL. I can assure you that our Shariah board is extremely strong. Previously, the Khatib of Baitul Mukarram National Mosque was the head of the board. At present, it is headed by the first Managing Director of Islami Bank, Mr. Azizul Haque. They sit regularly and review each and every product of IFIL. The branch audit is conducted by the Muraqib and if he has an objection about any transaction, then that profit amount goes to the foundation as compensation. We are the only Shariah compliant financial institution in Bangladesh to provide a special withdrawal facility. Although we are not a huge organization, we strictly adhere to the Shariah rules and regulations. Not only that, we have Shariah points in our ACR. Each and every officer receives training on Shariah-based banking system at least once a year. Does Islamic financing has an advantage over non-Islamic, i.e. people prefer it more in Muslim majority countries like Bangladesh. I believe this is not an advantage rather demand of the people of any Muslim country like Bangladesh to have the Islamic banking system. It is primarily because they prefer to earn halal income. People in Bangladesh are generally religious by nature. Islami Bank Bangladesh started its operations on 30 March, 1983. At that time people were not really aware about Shariah compliant bank in this country. If you look at the statistics today, only eight Shariah compliant banks and two such financial institutions control around 24 percent of deposits and investments in the entire banking sector of Bangladesh. Needless to say, the market share of Islamic banking system in this country is increasing day by day. Even foreign banks like Standard Chartered and HSBC have launched Islamic banking services. There are around 1,241 branches operating as Islamic window from the traditional banks and Islamic banks all over the country. The market share of Islamic banking in Bangladesh’s banking sector is around 24 percent at present. In fact, all the data validates the popularity of Islamic banking in this country. Islamic banking is also gaining traction among the non-Muslims in Bangladesh as they understand the facilities of this system. How risky is SME financing? How do you mitigate those risks? Small and medium enterprises (SMEs) are the most important segment of any economy of the world. SMEs are getting the highest priority from policymakers due to their already proven multidimensional contribution to the socioeconomic environment of a country. These enterprises are easy to start, require only minimum capital, employ comparatively higher number of people and produce goods that meet the local demand as well as contribute to export earnings. Definition of SMEs is based mainly on indicators of replacement cost (invested amount), number of people employed, yearly revenue etc. Size of the indicators varies based on the socioeconomic condition of the country or even the region. You see risk is a by-product of return, you will not find any business that is risk-free. Previously, we gave more and more loans to the ‘haves’, large corporations and excluded the ‘have-nots’, the small entrepreneurs because we thought it was too risky. As a result we have ended up with a massive burden of default loans. If you see who the loan defaulters are, you will get a clearer picture. The workers, farmers and small entrepreneurs are not responsible for this mess. That is why I think we should focus on SME. Financing CMSME (Cottage, Micro, Small and Medium Enterprises) benefits financial institutions in three ways. Firstly, CMSME finance diversifies the investment portfolio of a financial institution to reduce concentration risk. Secondly, CMSME finance can earn more as there is more risk premium added with the pricing. Lastly, CMSME customers are easy to monitor and get feedback if there is any default. IFIL has a plan to double the business portfolio for CMSME in the year 2019. IFIL is focusing on an expansion to the rural areas to do this business. In this regard IFIL has established two new branches, one in Noakhali and another in Gazipur. What digitization you have introduced in your delivery of products and services? After joining IFIL in mid 2018, I am trying to maximize the wealth of the institution by introducing new products, penetrating new markets, image building through publicity and publications, risk management and overall compliance of the prudential guidelines of different regulatory bodies. We have introduced an effective MIS system and IT-based operations to minimize errors and for better client service. We are focusing on the IT security system to minimize risks by implementing Data Recovery Center (DRC) and Firewall system. Information System Audit has been set up for IFIL. We are working to implement a paperless documentation system for better service. Risk management in every aspect has been introduced for more effective NPL management. What’s ahead for IFIL? Where you want to be in the next five years? A P J Abdul Kalam, former president of India said: Dream is not that which you see while sleeping it is something that does not let you sleep. My burning desire is to make IFIL the number one financial institution in the next five years. IFIL, the first Shariah-based financial institution of this country has played an important role in popularizing banking backed by the Islamic principles since its inception in 2001. It is now going for expansion and focusing on branding so that people can know the details about Bangladesh’s first Shariah-based non-bank financial institution and its products. We especially emphasize on quality of service, better risk management and wealth maximization for the shareholders in the coming days. In the next five years, we would like to have International Rating from an international rating company which will enable us to acquire foreign funds for investment. IFIL intends to issue bonds to raise capital, diversify its portfolio through innovation of new products, create an IT savvy manpower base, double the portfolio size, reduce NPL below 2 percent and expand branch networks.